When it comes to opting for the right PLR Membership site for whatever reasons you may require, selecting the right website can be daunting, especially since you have hundreds of options to choose from. But, from all these countless Private label rights membership sites, not all of them invest the time and resources into bringing fresh PLR content for their members. When I found myself in a fix about what is the best PLR membership site, I decided to pay a visit to the top master resell rights membership sites according to Google, forum recommendations and other website reviews and lists, and narrowed my list down to a handful of six PLR websites, which I will be reviewing in this post. NOTE: This list is regularly updated and ONLY long lasting trusted sites get a spot on this list to ensure our readers have a list of only the top most reliable PLR memberships that supply fresh PLR and resale rights niche content on a weekly basis. I spent time scouring through a number of websites, most of which I found to be inactive, dead, undergoing construction or having extremely thin content that did not meet my requirements. However, the above 6 master resale rights membership sites made it to the top of the list and as I have noticed, have exceptionally good quality content and are updated more often. And FYI, I am a member at 4 of these 6 sites, which supplies me with more than enough PLR. I just wanted to make it clear that I’m not just promoting sites I have not used or have no clue what they offer. The sites I am recommending to you are the best there are, period and I use them personally in my online business to earn more affiliate commissions, make extra sales, build my list and more. If asked to give an elevator pitch for IDPLR, I would call it a source of over 8,000 plus PLR products including software, eBooks, videos, courses, audio bundles, templates and more. The fact that this membership website has more than 40,000 members is a testament of its effectiveness. Free and Paid Plan enables you to try out the membership website before you commit your wallet to it. Free Membership comes with a 500 product download limit that can only be used for eBooks and software. Gold Members get access to all products along with freebies and 5GB Hosting Space. Gold Membership can be taken for 3 Months, Half Yearly, Yearly or Lifetime. One of the largest collections of High Quality eBooks constantly updated. All products have a live preview option, which allows you to preview before downloading. Should You Sign up For IDPLR? Yes, you should sign up for IDPLR, as the benefits of the platform far outweigh its cons, if any. Getting a life time membership will allow you to keep getting new products for life, which you can use in any way you deem fit. The products that they provide, namely themes, templates, videos, audios, eBooks, software and more, can easily be sold to make money. 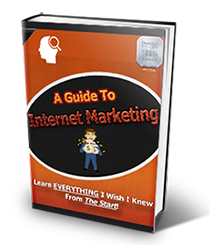 Apart from the PLR Articles, everything else on the website is going to add more value to your prospects. Resell Rights Weekly is yet another Private Label Rights membership site where you can download lots of free online resources that can be used as is or sold, to retain 100% of the profits. The website has everything an Internet Marketer, Blogger, Affiliate Marketer or Entrepreneur would need to create a stable income on the Internet. There are so many tools and business plans in the website that I think it gets hard to keep your head straight after spending a few minutes on the website. RRW is definitely the most popular resell rights membership site on the market and trusted by thousands of marketers around the world. Should You Sign up for Resell Rights Weekly? Yes! You should sign up for Resell Rights Weekly if you are starting out online as a blogger, internet marketer or affiliate marketer. There are tons of products in this resale rights membership site that you can offer on your website as giveaways to build list of loyal subscribers or sell to retain 100% of the profits. If you’re looking for a nearly effortless way to get into the PLR game, look no further than this master resell rights membership site. Here, you’ll find eBooks, videos, graphics, templates, software, e-courses, newsletter sets and much more. You can download PLR products an unlimited number of times, sell them, use the content to populate your blog or niche site, and keep all the profits. Best of all, every product on the site comes with private label rights, master resale rights and resell rights. With the Internet Marketing Zoom PLR Products Membership, you’re in control! This is just a partial list of what you’ll find on this resell rights site. The membership is a great bargain; a lifetime VIP membership is on sale right now for just $68.50. While that may be a strain if you’re just starting out, the sheer amount of great content that’s on the site makes it a worthwhile investment. Plus, there’s new content being added almost every day, which means this membership will keep providing you with value long after you sign up. When you buy a Internet Marketing Zoom PLR Products Membership, you can quickly fill your site with relevant, readable and engaging content, sell it to your subscribers, create your own teleseminar or break content into smaller pieces to give away as a bonus with purchase. The choice is yours! PLR Assassin makes it to the top of the list due to its unmatched quality of fresh and current content. What makes PLR Assassin stand out from the other PLR membership sites is its guarantee that all articles in the VIP zone are available for only a limited number of downloads. Once the articles reach a specified download limit, they are taken down and new and fresh articles are uploaded in their place. The rates for these articles are very reasonable as well. The best Video Gallery from all the websites, gives access to videos for both personal and commercial use. Should You Sign up for PLR Assassin? 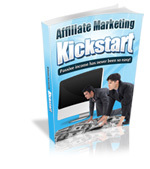 People who are into affiliate marketing will find PLR Assassin the most beneficial. However, even if you are just setting foot in this industry or have an established business, you will find PLR Assassin very helpful. Resell items and products with the right licenses, and retain all the profits. Use them for personal websites, to gain access to an unlimited supply of beneficial resources. Start your own membership site and charge a monthly fee. Use the PLR content as a bonus with purchase, or as a giveaway to subscribers. Add your own name and claim authorship after making minor edits. Now, it’s possible to do all of this without worrying about how to get it done. At the PLR Database, you’ll find the largest single collection of resellable products anywhere online, and all are licensed and 100% legit. Click today to get started! There’s never been a better time to get into the business of selling master resell rights products, thanks to BestDealPLR.com, the #1 PLR membership website. Why do I say this? Because right now, BestDealPLR is offering a trial membership where you can get started for just $1. Simply sign up for the $1 trial, and within minutes, you’ll have access to 5000+ super high-quality PLR products. Sell them to your customers, turn videos into PowerPoint presentations, convert articles into eBooks or e-courses, or give content away as a great with-purchase bonus. With content from BestDealPLR, you can attract new customers while keeping your current subscribers coming back for more—and it’s easy, because there are new products being added all the time. ….and many, many more. Regardless of which niche (or niches) you’re into, the BestDealPLR site makes it easy to find content that your customers will want to buy—and you’ll want to include in your own marketing efforts. With PLR content, there’s more than one way to make money, and this site makes it easy! So if you are planning to step into the world of Private Label Rights and Resell Rights, then this list is THE place to start. Each of these best PLR membership sites are worth a visit. Once you are through the $1 or free membership of all the websites, you can settle down for the ones that match your requirements. Searching on Google for terms like “Private Label Rights” “Quality PLR Products” “PLR Sites” “Best Resell Rights Websites” etc. will give you hundreds or even thousands of results, leaving you scouring through a pile of garbage, only to reach a handful of usable websites. Well, today is your lucky day, because, I made that job a hell lot easier for you. is this ranking made of the provision you get? i’m searching high quality sites like crazy but having the impression it’s just another site who is all about the profits and not about delivering the truth. Hey Louis, if you’re looking to join a site, my favorite at this time is IDPLR purely because they update the site with new PLR and resell rights products almost daily. Plus you can put ion product requests and go out buy it for you and add it to the membership at long as the product license allows it. Very cool! ok! which site has concerning eBooks the best quality and most up to date? Yes Resell Rights Weekly has an old salespage, but don’t let that fool you. I’ve been a member for over 3 years now and it’s definitely one of the best, trusted memberships with a great active community and forum. New content gets added almost everyday. Mark and the community do a great job. They keep the membership running smoothly with suggestions (on the forum) of the latest content to be added each week. All the sites have similiar products and content, some are just updated more often than others and might have a few extras. You may want to purchase directly from a PLR creator or get quality PLR content and create your own ebook? But out of memberships, IDPLR is currently my favourite but mostly for master resell rights products, for PLR, I go directly to authors/creators because most of the good ones only allow you to purchase PLR from them and no one else. thaaank you for this tip! can you name me some plr authors? Hey Louis, you can find my favorite PLR authors and sites where you can go buy PLR directly on http://www.buyqualityplr.com/best-plr-sites/. I am actually in the process of updating the page with 2-3 extra providers that I have used. Hi Bigjoe, check out the sites at http://www.buyqualityplr.com/best-plr-sites/, most of them provide exclusive PLR articles in various niches and on various topics and most of them focus on PLR articles and reports. Thanks again for reaching out and letting me know. I sent an email to Mark Autsin (in charge of RRW) yesterday evening telling him that I could not access RRW any more. I apologize. We are fighting a hacker. Site will be back up shortly. Just been looking at your “Best PLR Sites” guide, and they look quite good, but I had to make a comment about it. Some of them offer “Done for you squeeze page/sales page/ e-book graphics etc, which is fine if you want to have the same as everyone else has that bought the same product. I’m not an expert, but maybe if you used the content from the sales/squeeze page that is provided and created your own squeeze/sales page using software like instabuilder as an example, and changed the graphics on the e-book to make it a bit more original. I’m just about to start using plr to start a business, but I would really appreciate your view on what I’ve said. 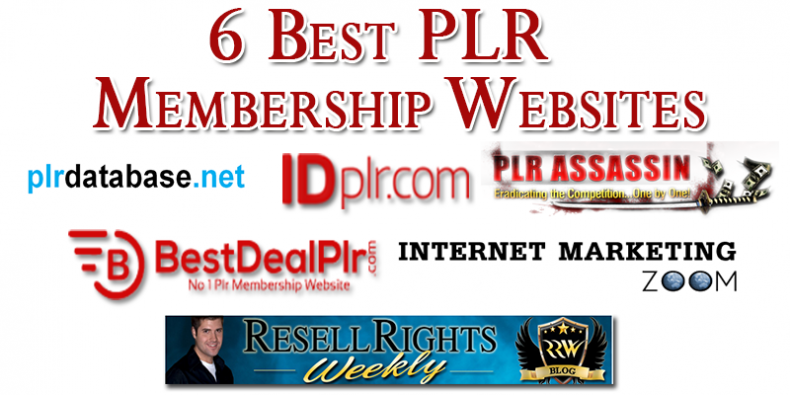 I tried all 8 Plr Websites and I think Resell Rights Weekly and BestDealPLR are the best! Hi Gustavo, thanks for your feedback, I love Resell Rights Weekly too! So much value in terms of extras at RRW. Hi Coll, Yes indigitalworks and IDPLR is the same company, I think indigitalworks was their old site and IDPLR is their main site. IDPLR is very popular amongst marketers. Yes I have removed them. I send support tickets which till this day has not been responded to. I cannot deal with PLR suppliers that do not offer support. Good support is a key component for any business in my opinion. I know this reply is very late but I needed to give each site time to reply to my emails and I got none. All the currently listed sites are well functional, support is amazing and prices very affordable. What more could we want from a top resell rights membership? I am a customer of most of them, so I am not just saying this to get your to buy, I am being 100% honest here. Great review! Am a newbie and needs great products to start out, either to offer as freebie and also for sale. What would you recommend? which site will be better? For health PLR it’s probably a better option to look out for PLR stores which focus on creating quality health PLR content. You may also want to consider joining Resell Rights Weekly, they had some health PLR too. A great PLR site and community.